Home // C.O.R.N. Newsletter // 2018-05 // Soybean Planting…How Early Is Too Early? 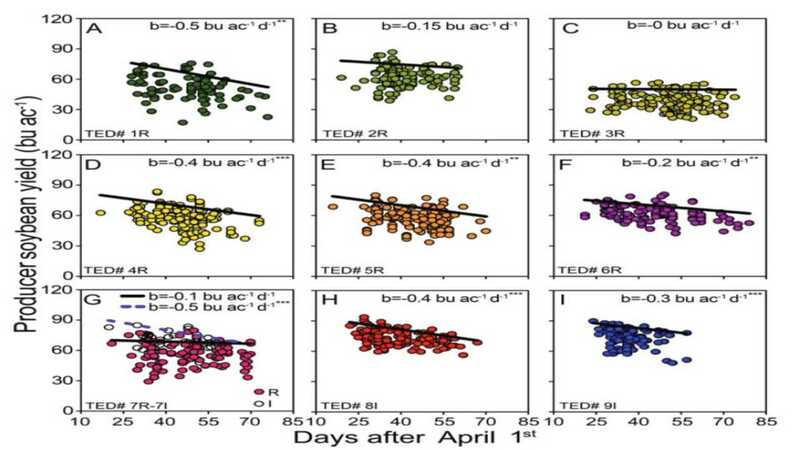 Figure 1 shows the relationship between soybean yield and planting date (Panel A = primarily northern Ohio excluding northwest Ohio; Panel B = primarily central and southern Ohio). In northern Ohio, soybean yield was reduced by 0.5 bushel/acre/day for every day planted after the end of April. In central/southern Ohio, soybean yield was reduced by 0.15 bushel/acre/day for every day planted after the end of April. 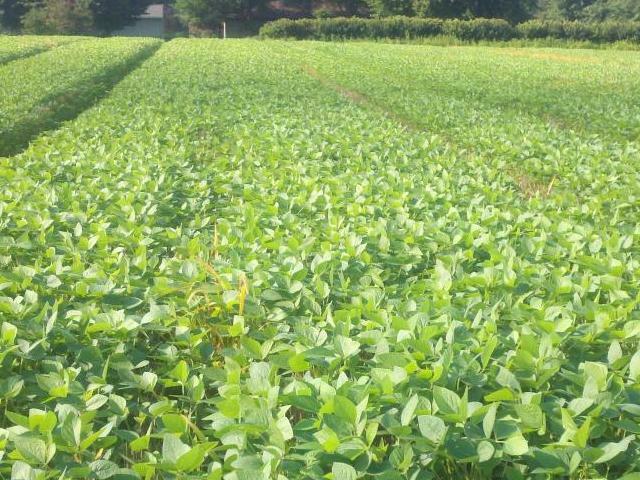 For additional information on this project, see https://stepupsoy.osu.edu/soybean-production/soybean-yield-gap-research. Timely planting is important for canopy closure which increases light interception, improves weed control, and helps retain soil moisture. Figure 2. 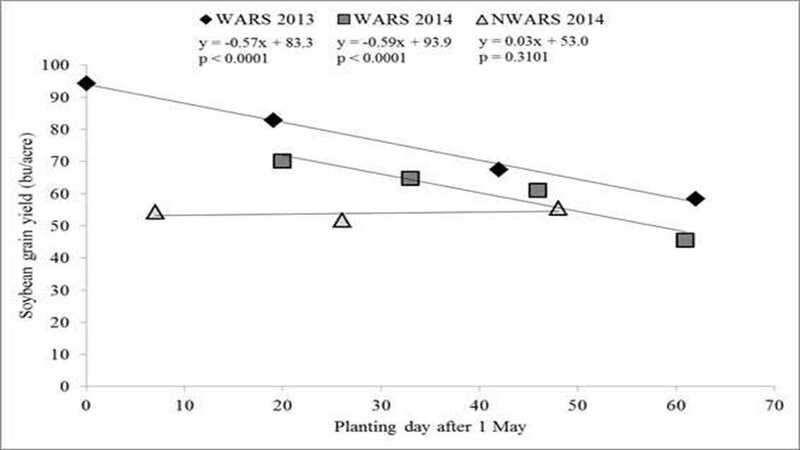 Effect of soybean planting date on soybean grain yield at the Western Agricultural Research Station (WARS) in 2013 and 2014 and the Northwest Agricultural Research Station (NWARS) in 2014. Still curious about planting in February or March? Try it on 1-2 acres and see what happens. Soybean plants are incredibly resilient, but save the majority of your acres until soil temperature is at least 50°F with adequate soil moisture. Rattalino Edreira, J.I., S. Mourtzinis, S.P. Conley, A.C. Roth, I.A. Ciampitti, M.A. Licht, H. Kandel, P.M. Kyveryga, L.E. Lindsey, D.S. Mueller, S.L. Naeve, E. Nafziger, J.E. Specht, J. Stanley, M.J. Staton, and P. Grassini. 2017. Assessing Causes of Yield Gaps in Agricultural Areas with Diversity in Climate and Soils. Agricultural and Forest Meteorology. 247:170-180.